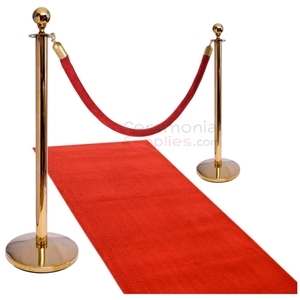 Set includes 2 Black Flat Top Stanchions and 6.5 feet long velvet Rope. Stanchion posts are made from steel with a matte black finish. Rope is available in color options of Red, Royal Blue, and Black. Flat top features a four-way adapter disk (no ball or urn) to create any line configuration. Stanchions measures 39 inches in Height and 12.5 inches in Base Diameter. It weighs about 15 Lbs each and has a sturdy base that keeps it firmly upright. Easy 2-part screw-in assembly. 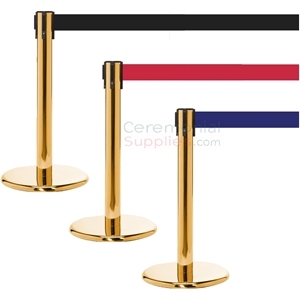 This set features two Black Flat Top Stanchions and velvet rope that comes in color options Red, Royal Blue, and Black. The two stanchions in a matte black finish offer a certain sleek luxury that when paired with the velvety smooth finish of the Stanchion Rope, will enhance any prestigious venues. 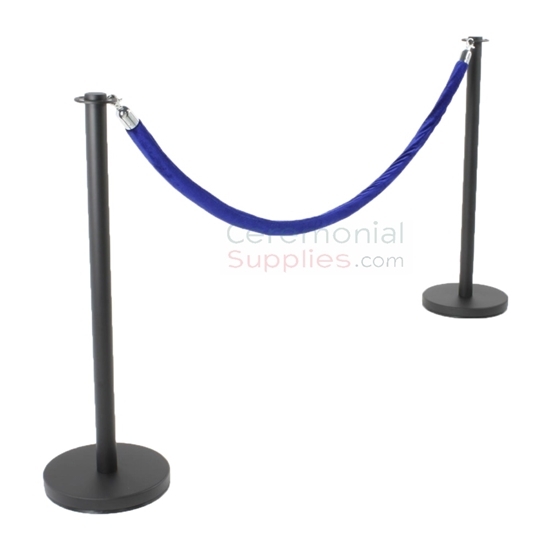 Whether you need to restrict access to certain areas, or manage crowd lines, these black stanchions and rope will provide just that. The color Black perfectly matches any color so any rope color of your choosing would complement really well with the matte black finish of these Flat Top Stanchion poles. 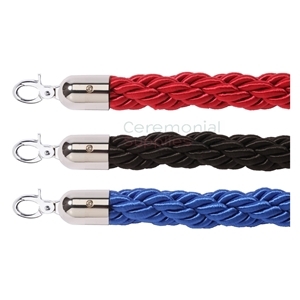 This product features a Braided Rope with Chrome hook ends. Rope is available in colors Black, Royal Blue, and Red in 6 FT or 5 FT.